It is a new trend to pack USB cable with tube box with lid, that is why such a good tube cardboard box with special full-color printing can be your good choice. The row material for the main structure and the exterior decoration are 250g cardboard and 120g chrome paper, not special but in good quality as the density is ideal. Using such a tube package without PVC transparent window for USB cable is not a common choice, but it is very economic and eco-friendly. Not only limited to USB cable, by changing the size and printing, you can use it for many electronic products. With options of thickness between 1mm to 3mm, there will be no worry if the tube boxes is not robust enough to contain big electronic products. 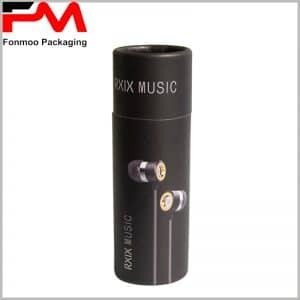 Here in tube-box, you can find the kind of tube packaging box you need and any customization for you special need is possible. 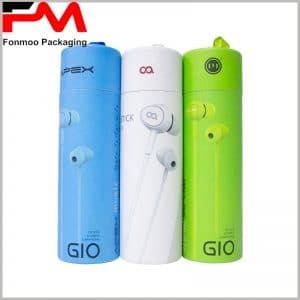 Just get in contact with us to offer you the ideal special printing tube packaging with lid.